Chen Lai-hsin was born in 1949 in Houli, Taichung. His father was a primary school teacher and they frequently moved from one place to another. Chen attended the Changhua Commercial Vocational College (now the National Changhua Senior Commercial Vocational School). There he was inspired to take up art by his art teacher Mr Huang Wende. 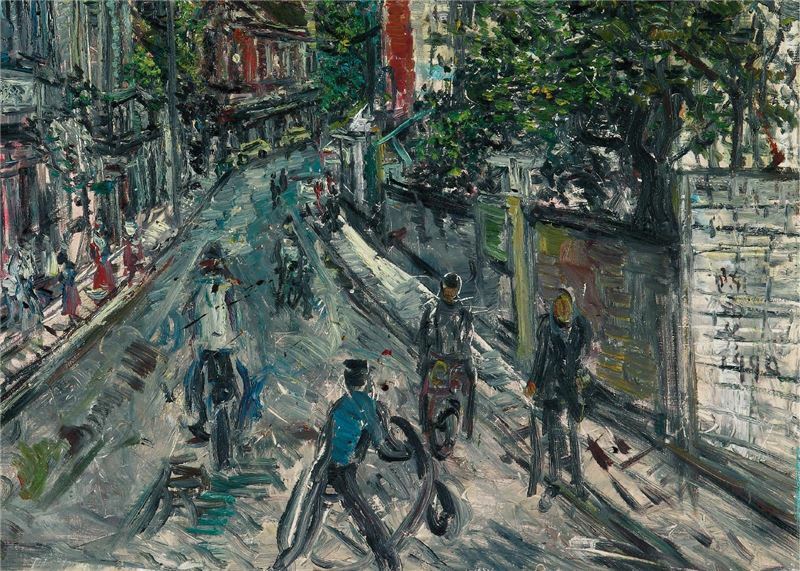 In 1969, Chen entered the National Taiwan Academy of Arts (now the National Taiwan University of Arts). At university, Chen devoured Western literary works and Existentialist writings. After graduating art college and completing his military service, Chen returned to Changhua where he taught art for seven years. During this time, Chen held solo exhibitions at the provincial Taichung library and the Taichung Culture Centre. 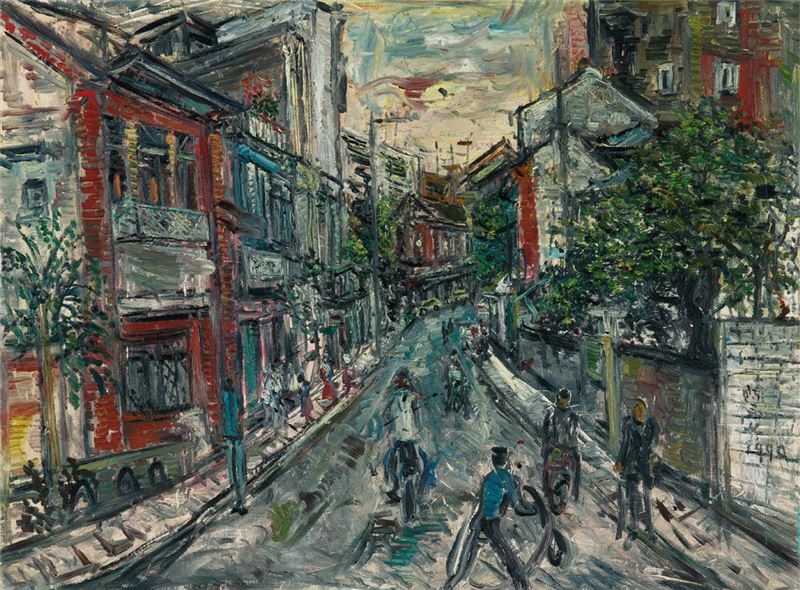 In 1981 Chen left his comfortable teaching job and went to Taipei to follow his dream to be an artist. In order to support himself Chen did different manual labour jobs. This was a trying time for Chen. Chen Lai-hsin was also a social activist, concerned for the world around him. He never shied away from expressing his political ideology in his art. For example major subjects of his work in the late 1980s and 1990s were the 228 Incident and the 1988 Farmers Movement. Chen did not like to hide away in his studio painting. His main methods of working were painting getting outside and amongst the crowds and people to paint authentic scenes. 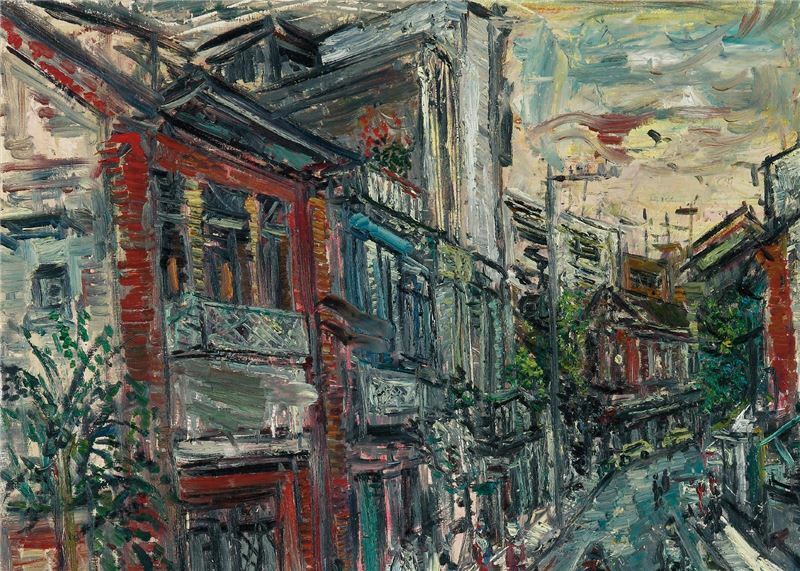 In a career spanning 30 plus years Chen travelled the length and breadth of Taiwan while painting. In 2000 he suffered a stroke and was even in a coma. However through sheer strength of will he overcame physical immobility and today still travels frequently and paints. Dansui, full of cultural charm and a sense of history, has been one of the artist’s key sources of inspirations whenever he wants to reflect upon some local scenes. The author discards a bystander’s viewpoint and opts for a special perspective view to leads spectators to “look into” this crowded, narrow old street realistically without any romantic sentiment. The colors are solemn, and the overall picture is enriching. It gives a kind of understated sincerity. Chen Lai-shin initially struggled when he went to Taipei to develop as an artist in 1981. The art market was dominated by the work of renowned older and middle-aged artists. There was a lack of public art institutions and commercial galleries to support new artists, and opportunities for young artists were therefore extremely limited. This was even more the case for Chen, whose rough, unadulterated figurative style did not confirm to ideas of aesthetically beautiful art. At the end of the 1980s however, the end of martial law brought about a release of social and cultural energy. Chen became an active social activist but in terms of his art, his focus was portraying the people taking part in events rather than the events themselves.